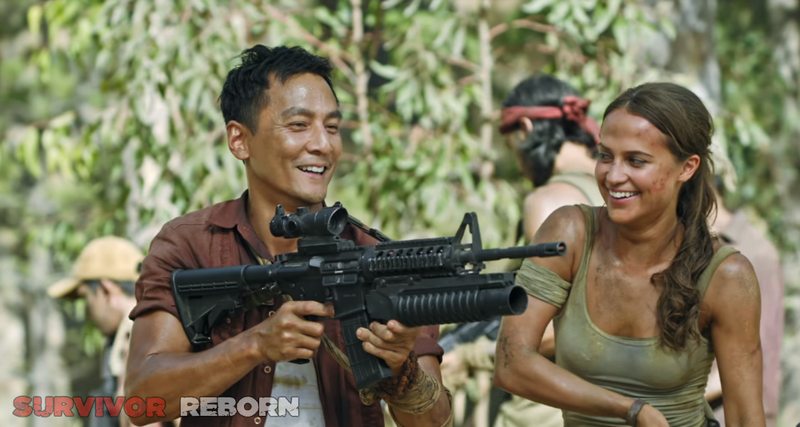 The brand-new, official trailer for Tomb Raider just dropped from Warner Bros., so of course social media is buzzing with reactions and opinions from all corners of the Tomb Raider fandom. Here’s a short breakdown of what we’ve learned so far, and some of the opinions from the team at Survivor Reborn. 1) Action will be front and centre. 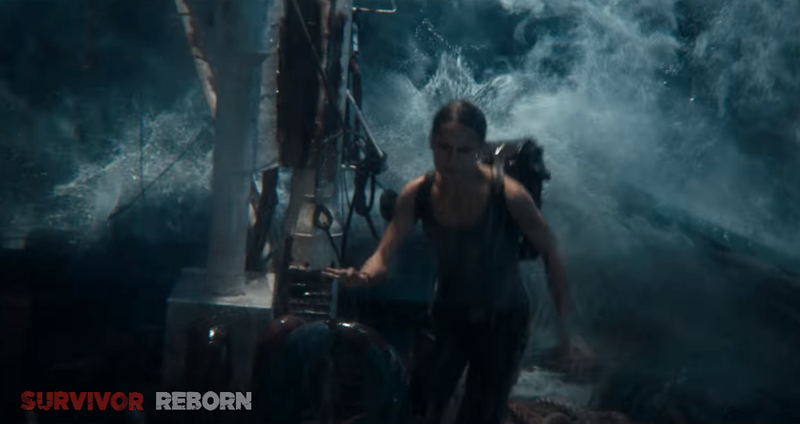 It wouldn’t be Tomb Raider without falling debris, falls into fathomless depths, explosions, gunfights, and bucket-loads of peril – and the trailer seems to imply that the movie will tick all of these boxes and more. Traps also appear to make a (welcome) appearance, with Lara dodging lethally fast spiked rollers in one sequence. From frame-for-frame reconstructions of Lara’s leap into the ocean, her parachute-clutching fall from an old plane cockpit, and various shots of desks cluttered with research, to direct (and father-related) references to Trinity, the Tomb Raider movie seems to be bringing the rebooted Tomb Raider universe into full-motion Technicolour. That said, the trailer and featurette also show many differences. 3) …But it won’t be 100% faithful to the reboot/Rise story. From Mathias having hair to Samantha Nishimura’s conspicuous absence, the movie will diverge quite a lot in places from the story and characters established in the reboot universe. Changes – implied or explicit – include scrapping the Himiko/Solarii/sacrificial storyline, making Mathias an agent or cats-paw of Trinity, having a new location and MacGuffin (”a tomb called ‘The Mother of Death’”) and more. There are also many nods to the classic and LAU-eras (the crypts under Croft manor and “I’ll take two”, being two of them). A tomb,with a MacGuffin in the middle. But what does this “Mother of Death” do? 4) Lara’s father will feature heavily…. Even though he appears to be dead. Yes, the movie returns us once again to the Daddy Croft story arc, with Lord Richard Croft missing for years, presumed dead. But he has laid a trial for Lara to puzzle-out, pick-up, and finish before the bad guys i.e. Trinity, finish it first. There are strong Da Vinci-Code vibes to Lara playing with intricate puzzle boxes and notepads full of arcane scribbles in her quest to retrace her father’s footsteps, and it seems that Lord Croft and Mathias are – or were – somehow acquainted. 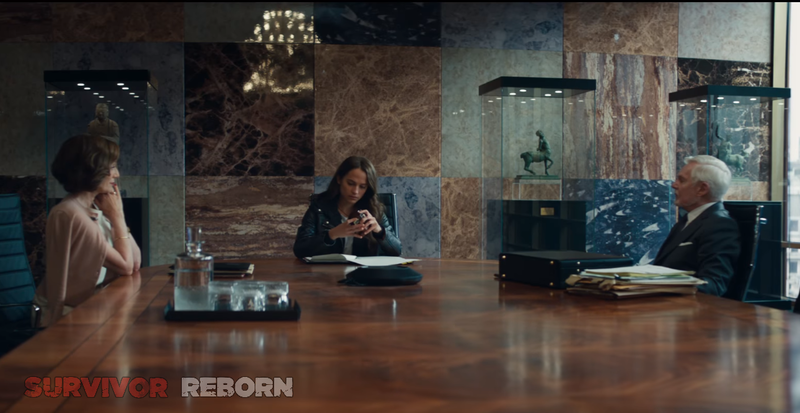 Lara’s backstory appears to have been re-written (again): she is now a bicycle courier who happens to be sitting on a vast fortune (Croft Holdings), but with no impetus to do anything with it until – we presume – she gets a wake-up call from her dead (possibly) dad. Bored meetings? Add ancient puzzle boxes. Lady Lindsey Croft and lots of cremation urns in the Croft Manor crypts. The fact that Nick Frost isn’t listed in the IMDB credits, plus Lara’s adoption of the braid (and a sharpened attitude with “I’ll take two.”) feels like this scene will appear at the end, or even post-credits. The land where Lara becomes stranded is a lot more tropical than the temperate forests and mountains of Yamatai. Mathias Vogel (Walton Goggins) is a lot more sophisticated-looking than his gaming counterpart, and appears to be leading excavation work on the land – possibly at the behest of Trinity. “The trailer featured some pleasantly surprising moments, in particular the inclusion of a tomb and traps instantly made me feel like this movie will be better than the game it’s based on. I was, as expected, put off quite a lot by the heavy emphasis on Lara’s quest and motivations revolving around her father (see previous rants), but honestly I’m tired of talking about that. It’s happening and there’s no stopping it. The final shot will no doubt be from the end of the film, with the braid and dual pistols giving me a glimmer of hope that any potential future TR films will be more in line with a classic version of Lara.” – Chris Jones. What are your impressions and thoughts about the trailer? Let us know! 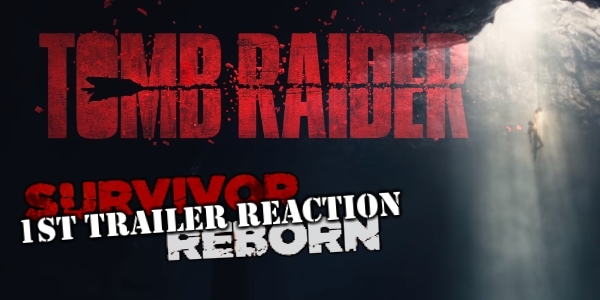 Tomb Raider (2018) 1st trailer – Reaction by J. R. Milward et al /Survivor Reborn is licensed under a Creative Commons Attribution-NonCommercial-NoDerivatives 4.0 International License.